Alongside snowboarding, I’d was really into skateboarding as a teen, and I just couldn’t see why anyone would want to ride a skatepark on a bike instead of a board. To me, it just looked like there was so much potential for hurting yourself and getting all tangled up. But after building up my first fixed gear bike, an old, rattle canned road conversion with cottered cranks, it wasn’t long before I was trying wheelies and barspins and as fixed gear progressed, we moved away from the flat spaces and carparks and into the curves and banks of the skatepark. I ended up getting a BMX – I’d long stopped skating and the idea of feeling that flow again and carving round a bowl was massively appealing to me. I kept the fixed gear(s) of course, but my interest began to take a different direction. Just like I never thought I’d want to ride a bike in a skatepark, I never thought I’d want to wear lycra or do a sportive – ‘freestyle’ was my thing, not training, energy gels and padded shorts. 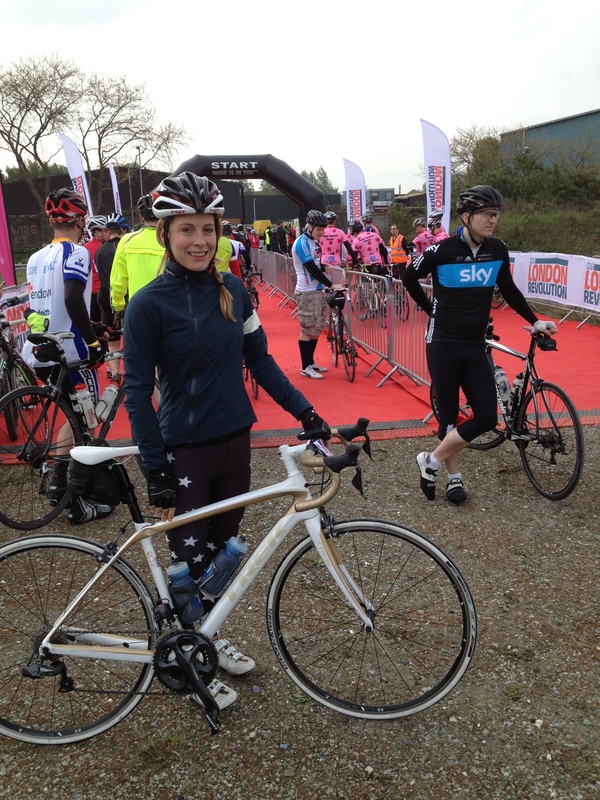 But after moving away from London and falling in love with long, geared rides in the countryside, I found myself keen to sign up for a sportive, just to see what it was like. 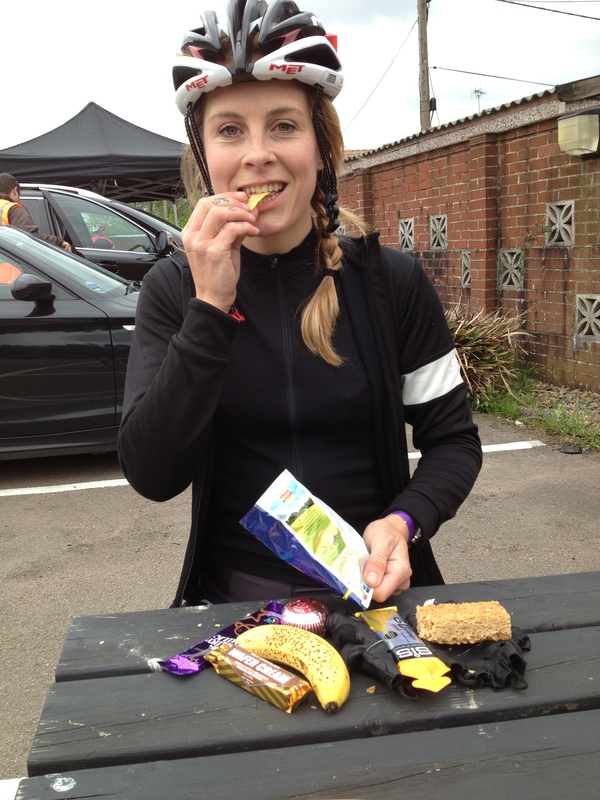 My opportunity came through London Cycling Campaign, who I’ve been working with recently – I decided to ride the 180-mile ‘London Revolution’ for my first event and write up the experience for their magazine. I’d also blog about my training. The training didn’t happen, as I didn’t really have time. I know that’s a poor excuse, trundled out by many, but I was genuinely drowning in deadlines and trying to catch up on stuff after the release of the fourth issue of Coven. So I lined up on the morning of the sportive, wondering how the hell I was going to manage 100 miles on day one, and a further 80 or 90 on day two. Prior to that, the furthest I’d ever ridden had been 92km, not even 92 miles! The day of the sportive, we set off from London at around 8.45, groups of riders dispatched together after a quick briefing on how the whole thing would work. It turned out that all we had to do was follow arrows to designated feed stops, stuff our faces, then carry on pedaling though glorious countryside resplendent in the sun. How bloody brilliant is that – literally nothing at all to do expect ride with everything taken care of for you – it felt truly decadent! We kept things pretty steady – me, because I wanted to finish the first day with enough in my legs for day two, and Dave, because he was riding a fixed gear bike and his knees were killing him. Our slow and steady pace paid off and we made it to Windsor racecourse, ready for more food, a little yoga, one solitary pint and a night in a tent, sparko! 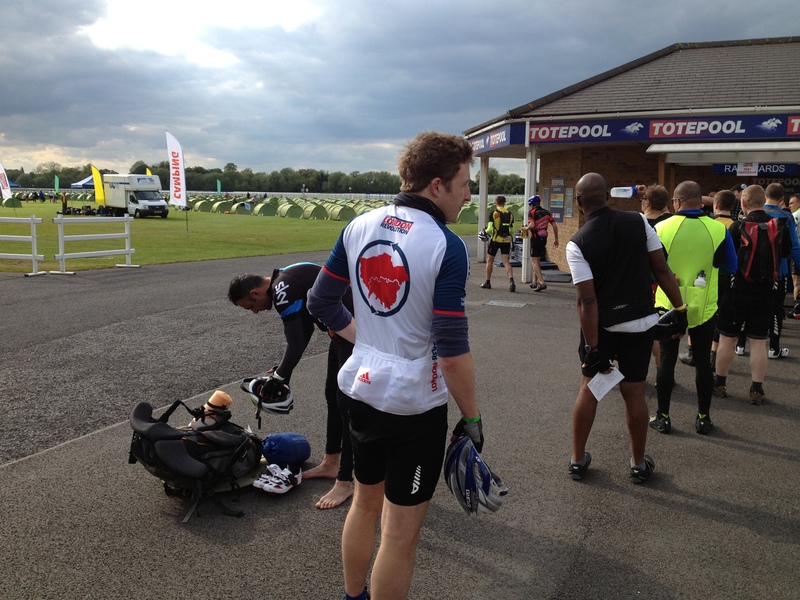 The second day was a struggle for Dave, his knees were very painful thanks to skidding down so many hills the day before and though the medics had strapped them heavily, he was unsure if he was going to be able to ride at all. We decided to set off and see how far he could go, and thanks to a lot of codeine, he managed to complete the whole ride with me. We even pegged it up Box Hill, a mere bump after riding around Dartmoor, but a very pretty one! 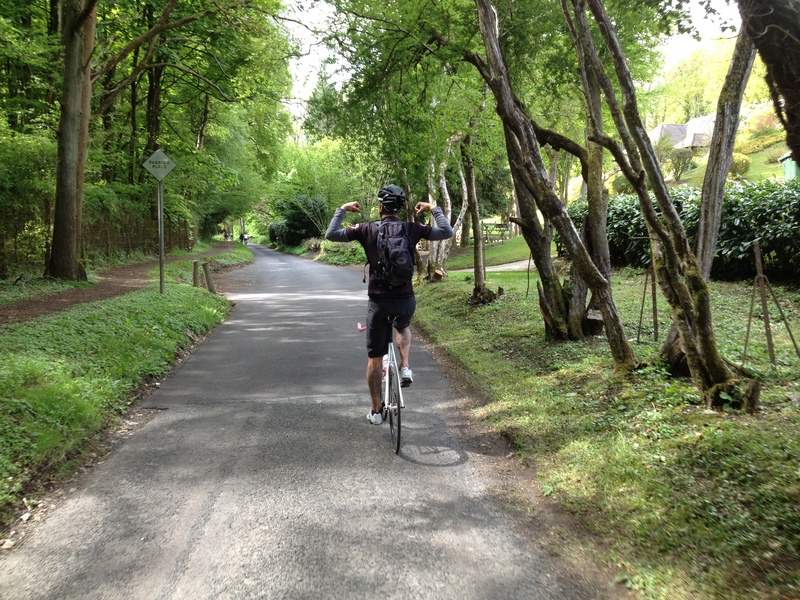 I was actually rather surprised at how strong I was up the hills, obviously just riding around the area near my home in Devon has substantially built up my strength, and thanks to being relatively light, I was even able to overtake a lot of people on the hills, well most of the time. When we hit hills around the seventy mile mark of day two, well that was another matter! But on the whole, we kept the pace pretty steady and I reckon I could have done quite a few more miles, as long as they were relatively flat. After a ride around Herne Hill’s velodrome on the way back, we rode onto the red carpet at the finish and collected our medals. It was a great weekend, we were so lucky with the weather; brilliant sunshine but not too hot and barely any wind. And I was really happy at how my fitness has improved without doing very much. Now if I could just schedule some proper training, I might see an even bigger difference! That looks like a beautiful ride!! !